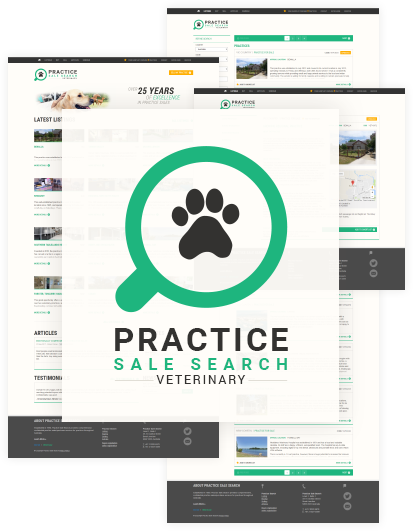 Valuvet has partnered with Practice Sale Search, the leading practice sales brokerage in Australia, to offer brokerage services to veterinary practices. Their team of brokers and practice sales experts handle all aspects of the sale, from information gathering, marketing and showing practices, to overseeing legal negotiations and finding the best price and terms for their clients. Visit practicesalesearch.com.au if you are thinking about selling your practice and want some more information about what is involved and the price your practice is likely to achieve.